We all know that most of us are very familiar with this dish. 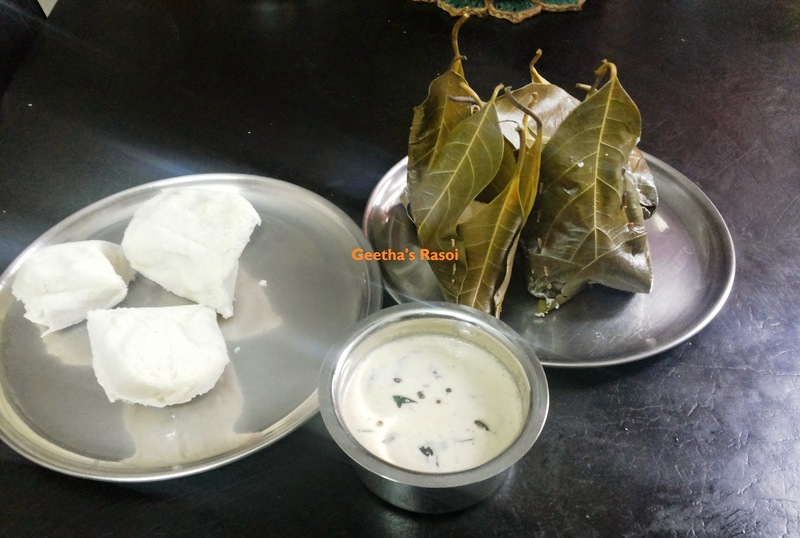 This is a regular weekend breakfast and festival breakfast in almost all Manglorean Konkani homes. I would like to describe about this to the Non-Mangloreans. 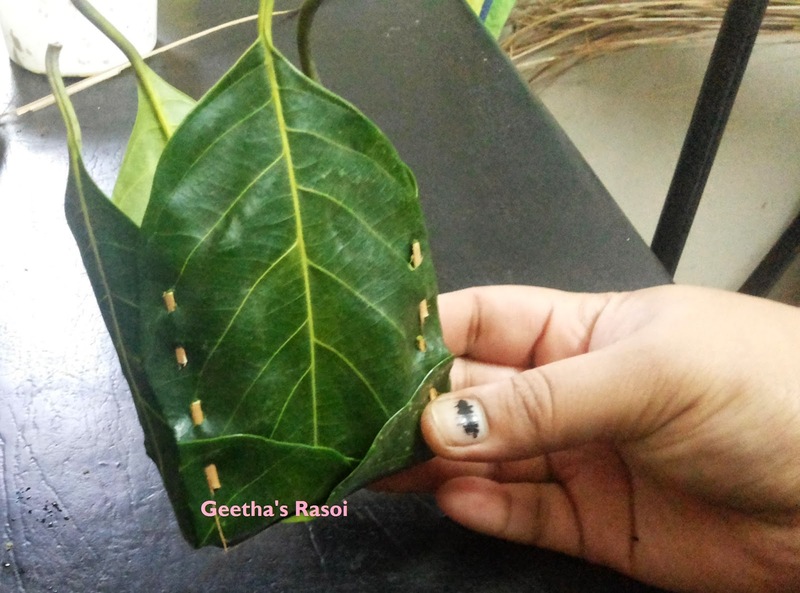 Kotto is nothing but Idly batter steamed in mini basket made out of four Jackfruit leaves pinned together in a form of mould with the help of sharp and clean broom sticks. 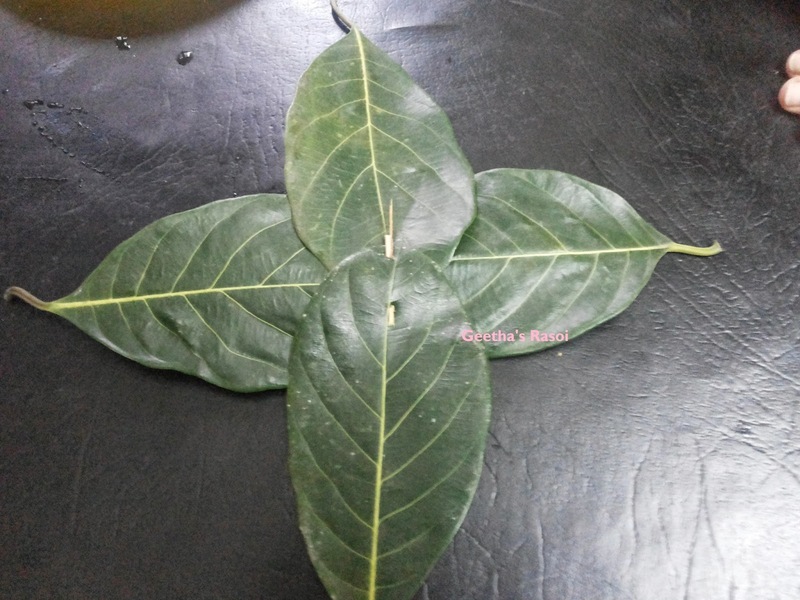 From today lots of festivals are coming one by one, today “Naagara Panchami” then comes “Avani Avittam (Sutha Punnav)” , “Ganesh Chaturthi” etc. 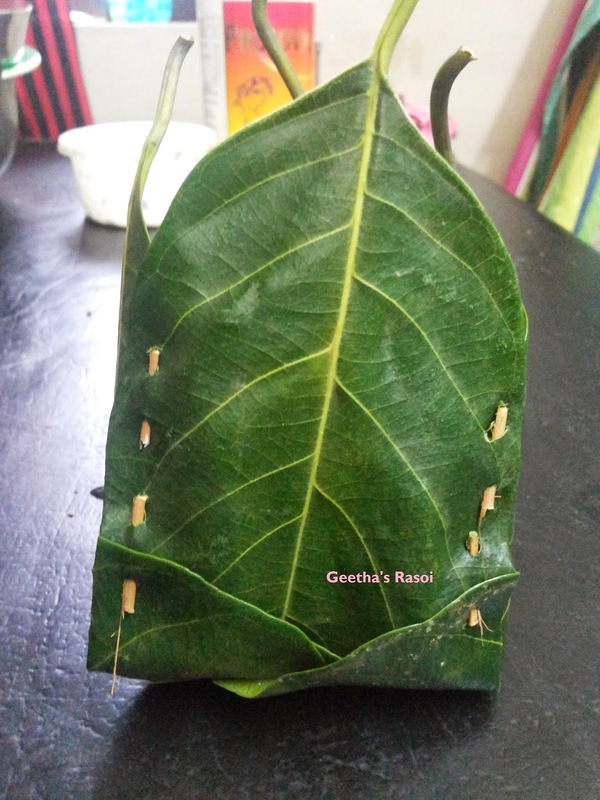 Nowadays people don’t spend time in making these baskets, but these baskets are available readily made in Mangalore market. But still all Grand Mothers prepare this very patiently with their hands. 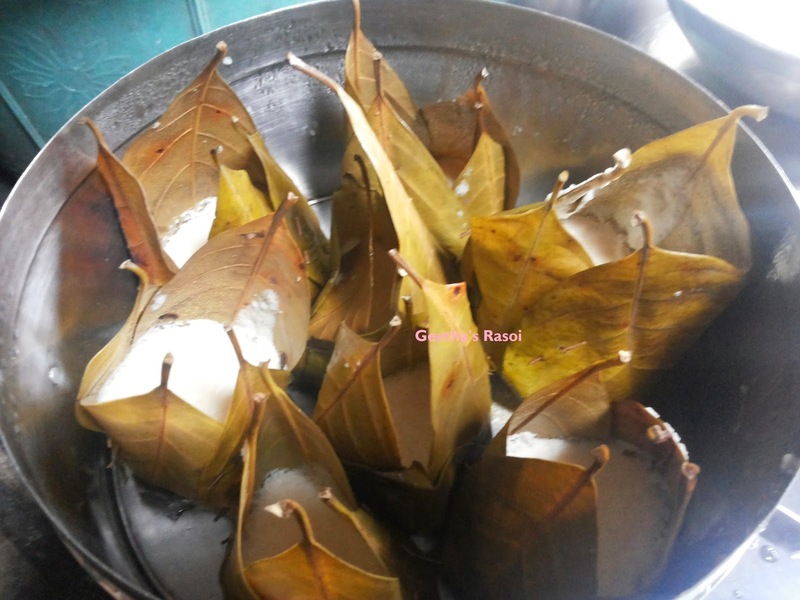 Although it is idly batter but the aroma it gives when prepared in jackfruit leaves is superb. 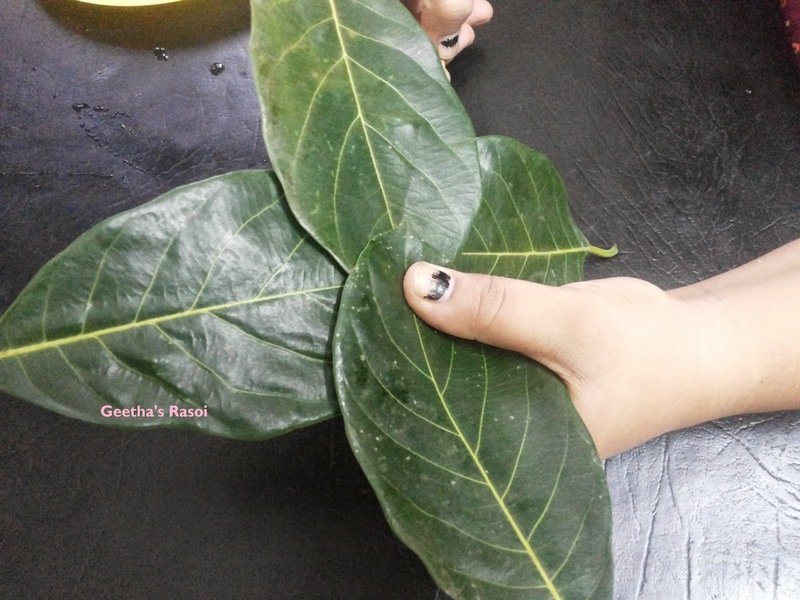 Here I would share the step by step method of preparing the basket and then Kotto. 1. 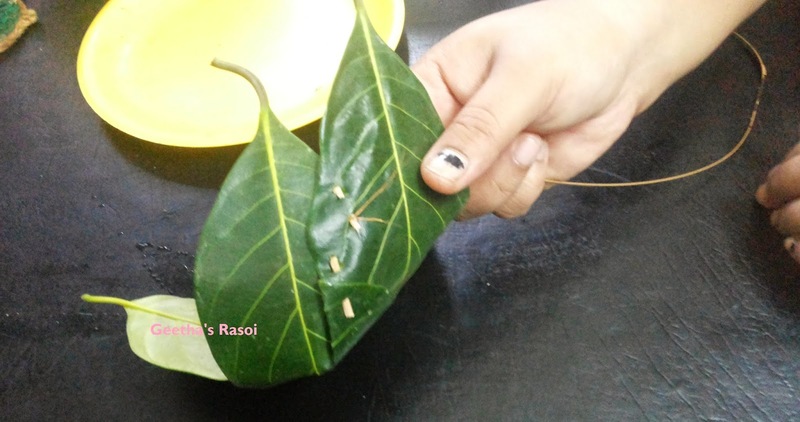 Take four jackfruit leaves of same size washed and cleaned, few clean broom sticks cut into 1 inch pieces. 1. 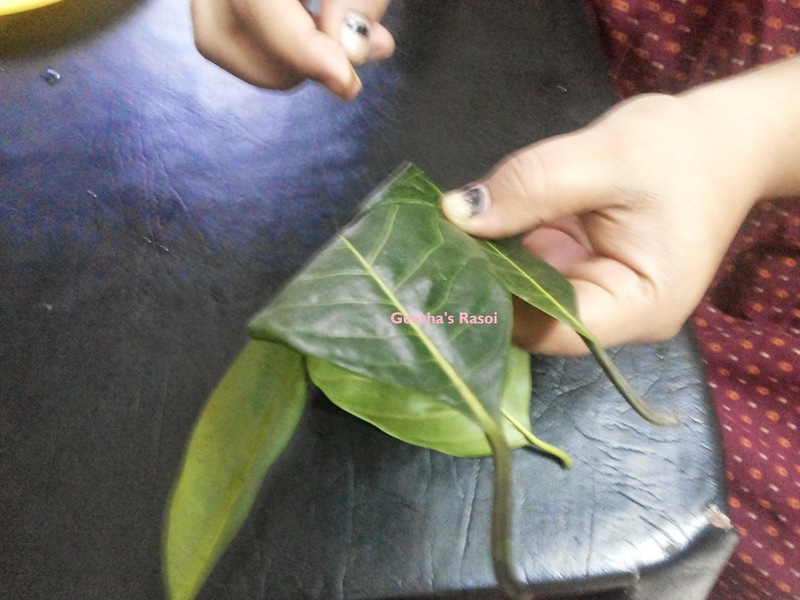 Pin 2 leaves head to head then keep 2 leaves perpendicular to the pinned leaves and pin head to head. 1. Now it will look like a ‘plus’ sign. 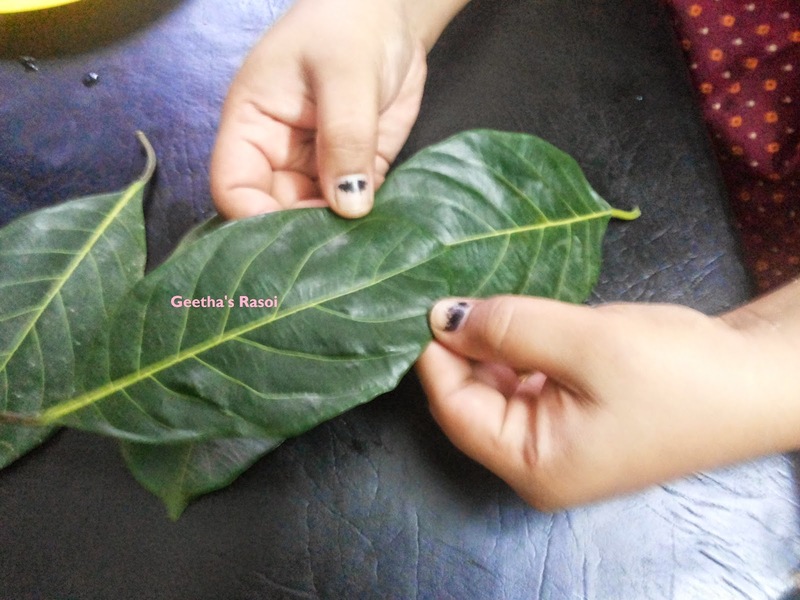 Fold the leaves upwards fold the edges without giving any gap and pin to the adjacent leaves. (otherwise batter will leak). Soak urad dal and rice separately for 3 to 4 hours. Wash and grind urad dal into thick batter (add little water while grinding). Grind rice in to rawa consistency. Add both batters together add salt and keep for fermentation for 6 to 8 hours. Add water in a steamer, fill batter in the baskets (please do not fill to the edge fill only 3/4th of the basket). Steam for 20 to 30 minutes. Let it cool for some time. 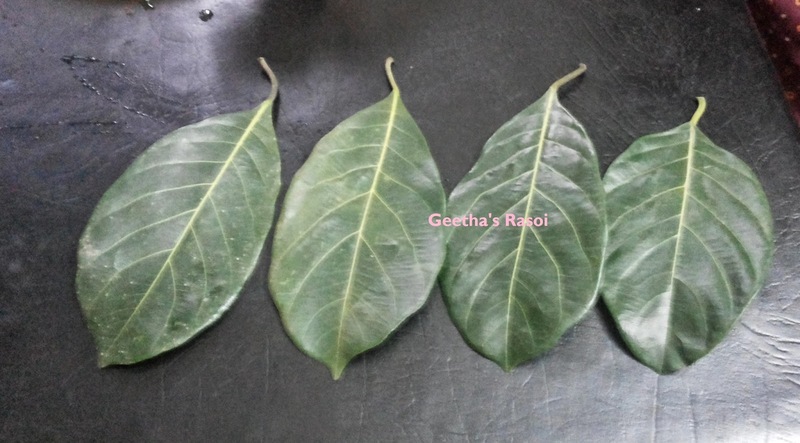 Tear the basket and the kotto is ready to serve with green chutney or yam pickle(already posted in my blog) or sambhar or chutney powder.